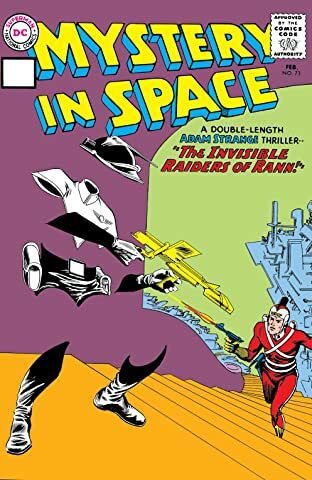 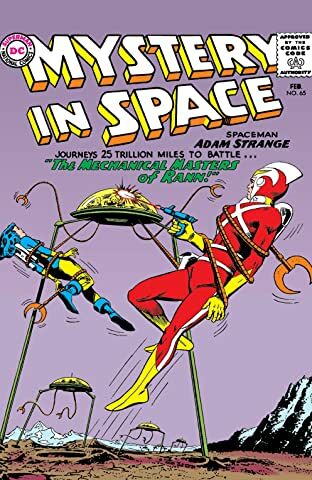 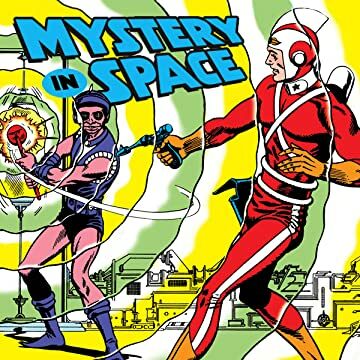 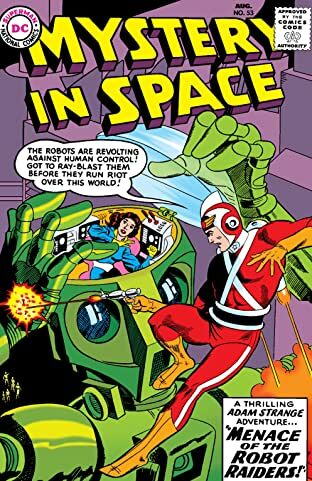 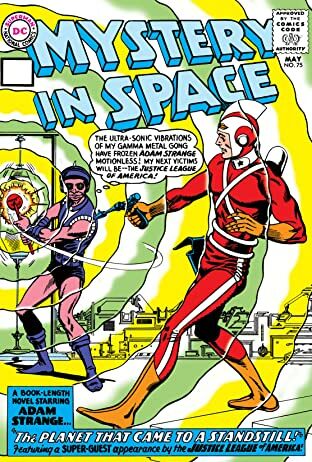 This Issue collects issues 53-56 of Mystery in Space featuring Adam Strange in "Menace of the Robot Raiders" where Adam returns to Rann to find it overtaken by an alien race known as the Girks! 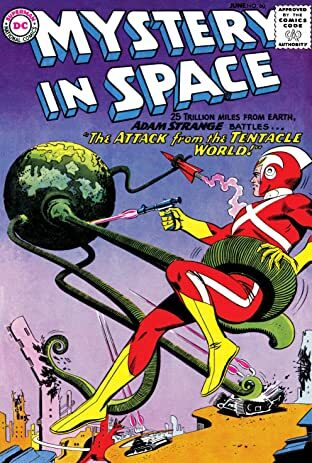 In "Invaders of the Underground World!" 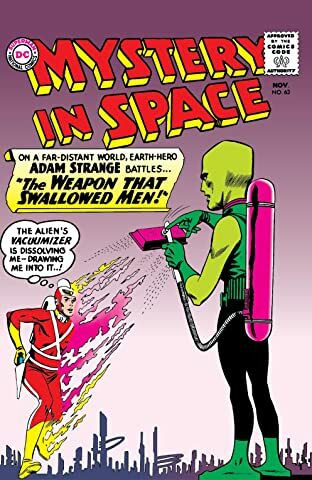 Adam stands trial for weapons theft and the verdict is guilty! 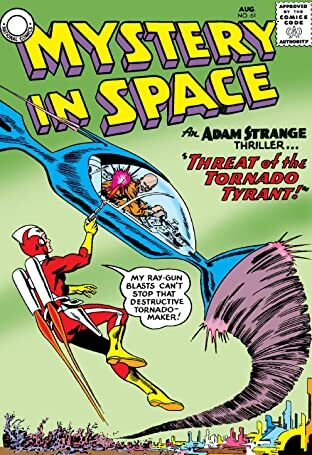 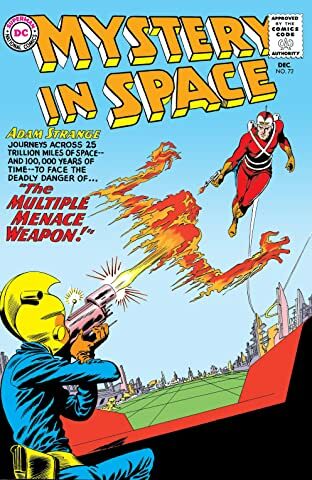 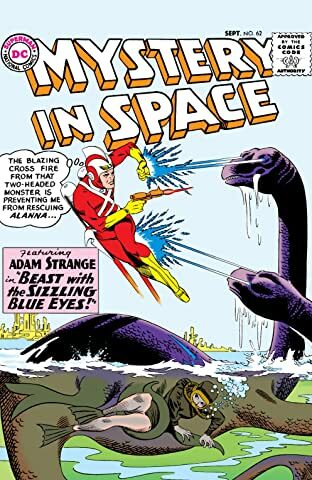 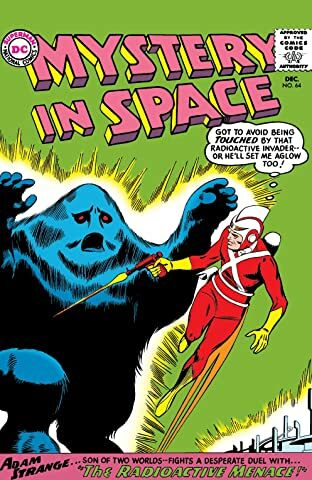 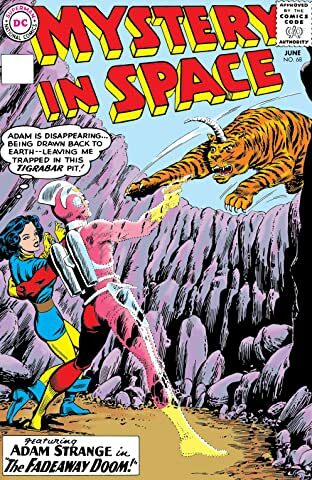 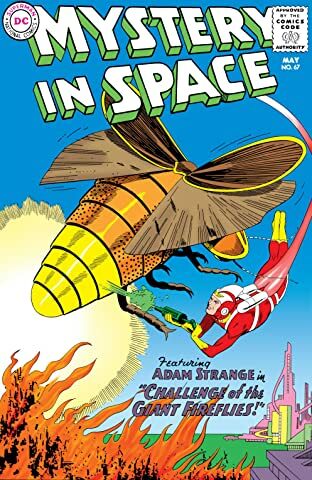 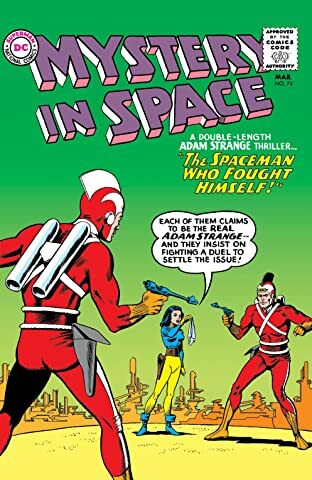 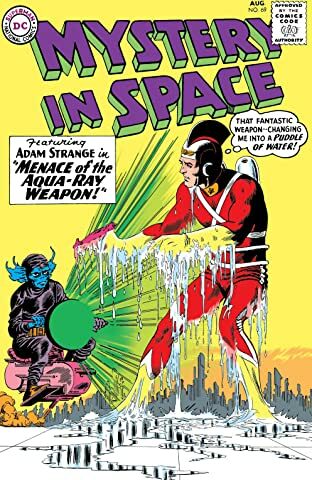 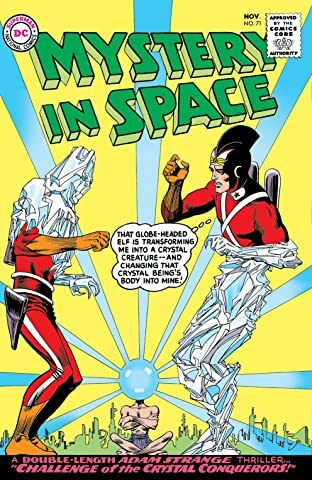 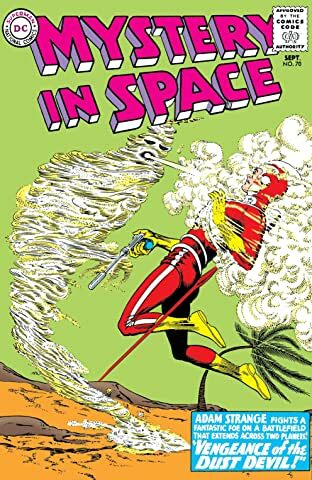 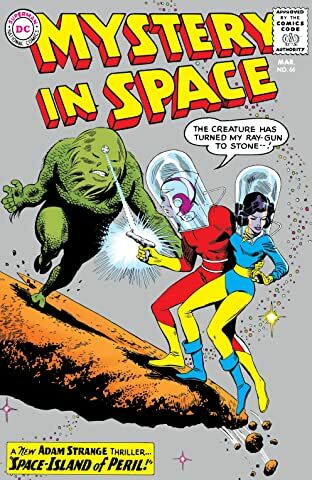 "The Beast from the Runaway World" features Adam Strange has his Zeta Beam intercepted by an alien lizard being who arrives on Rann and wreaks havoc! 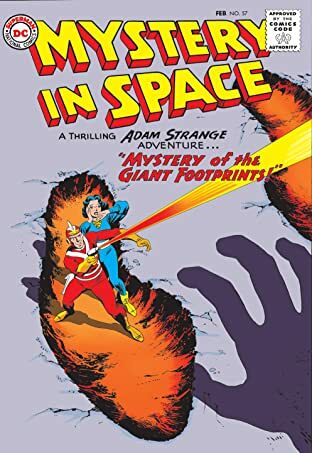 Finally, Adam arrives on Rann to find that Alana has been taken captive by the Super Atom in "The Menace of the Super Atom!"